Below are 2018 survey reports from the Grays Harbor NWR Wildlife Biologist and Refuge Volunteers. 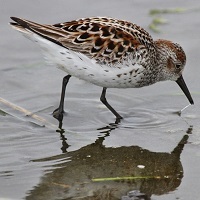 Surveys are conducted every few days during shorebird migration. All surveys are begun 2.5-3 hrs before predicted peak tide height and for about 2 hours after and are conducted along the Sandpiper Trail at the Refuge. 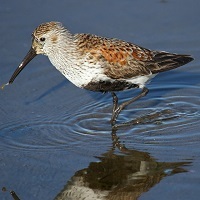 For more information about tides and shorebird viewing, click here. Note: Non-shorebird species are listed in italic font.